There are costs associated with the level of professional expertise and services you will receive at our lab facilities or on-site. We can offer the most reasonable professional labor rates available due to the low cost of living in our location, not being located in downtown Cleveland or other high cost metropolitan areas. As a result we offer more than affordable services, and amazingly, we have collected here some of the greatest conservation expertise in the United States. Ditch the high city prices and come to the country. We do talk frankly with art and heirloom owners about the value of their items and the potential costs of their needs and try to seek some means to help that is cost-effective, and sometimes that is just information given to the owner on the means and materials of self-help. These are the best ways to start. 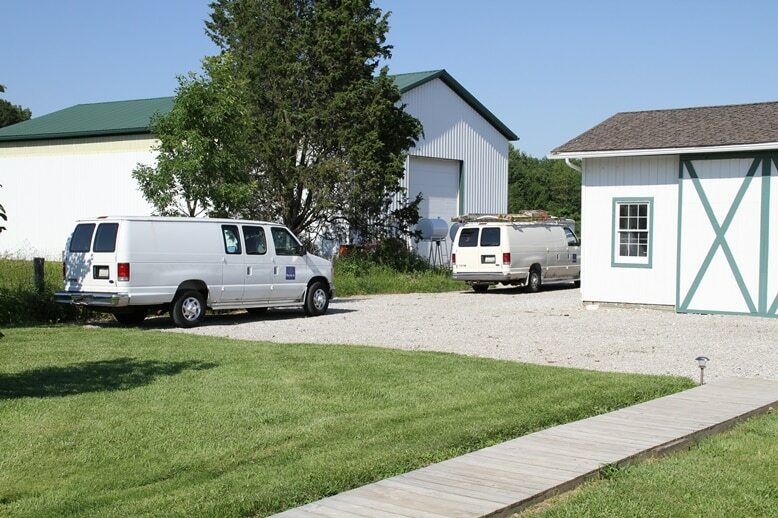 Call the office at 440-774-4215 and you can speak with the appropriate specialist conservator, or with company president Robert Lodge, to address your needs. 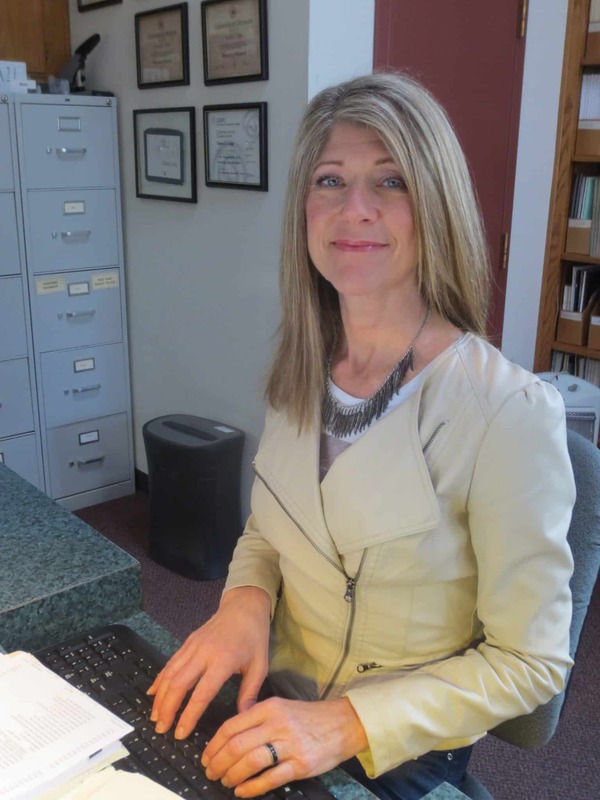 When you call the Laboratory, office manager Linda Coss will probably be the one to take your call and will greet and assist you, making sure you are helped professionally and courteously. Or email us at [email protected]. Feel free to include images. Responses are prompt and often nearly immediate or on the same day. We maintain sufficient “fine art property of others” insurance for our current inventory through our fine arts specialist insuring agency Huntington Block. Typically we maintain several million dollars of coverage for our current inventory. This insurance covers “property of others” also during all transportation, subject to certain transport security requirements. 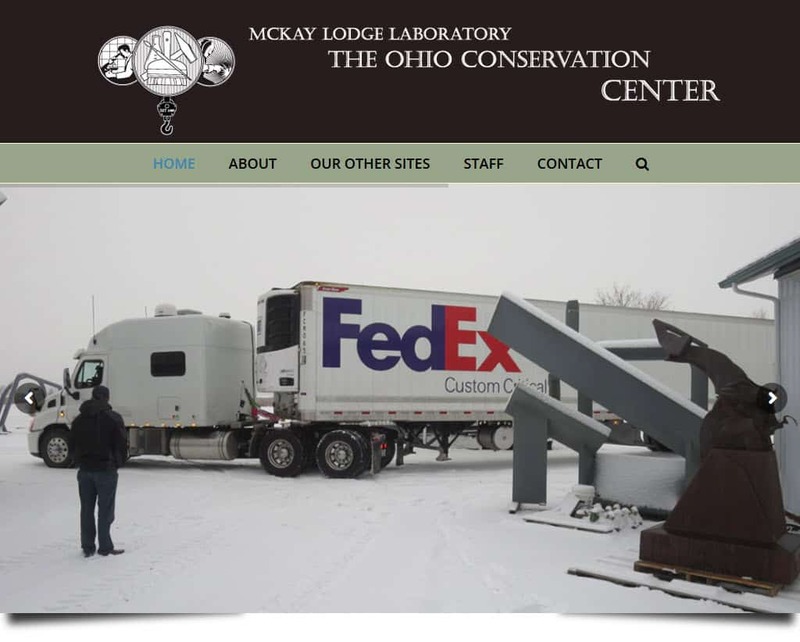 However, our insurance names McKay Lodge Conservation Laboratory as the beneficiary. The purpose of this insurance is to enable the company to pay any claims made by clients. In our 29 years there has been only one claim – related to the fault of a specialty shipper. Clients are encouraged to maintain their own insurance for “locations elsewhere.” We can provide your insurer with a facilities report if needed. For items submitted that are of high dollar value (exceeding an estimated $100,000) and are not protected by any owner’s insurance, we will ask the owner to agree to, in a document we will prepare, a “limit of value” in order to accommodate the value in our insured inventory. For items submitted that are of high dollar value (exceeding an estimated $100,000) and listed in an insurance policy, we shall ask the client to have their agency provide us with a Certificate of Insurance naming McKay Lodge Conservation Laboratory as “Additional Named Insured.” This is customary practice for museum loans. For your convenience, our climate control cargo vans are available for pick-ups and deliveries of clients’ art works and objects, as well as for bringing equipment and personnel to your site. Our trucks, trailers and drivers are maintained in full compliance with the Federal Motor Carrier Safety Administration regulations and are DOT registered and inspected. We also provide crating services. Our facility loading area can accommodate 80+ foot long semi-tractor trailers for large pick-ups and deliveries and offers a loop truck turn around drive. We load and offload with our own forklifts and crane and using our experienced operators and riggers. All are available 24/7 to accommodate driver schedules. There is nothing too large or too heavy for our available riggers and equipment, nor is space an issue. 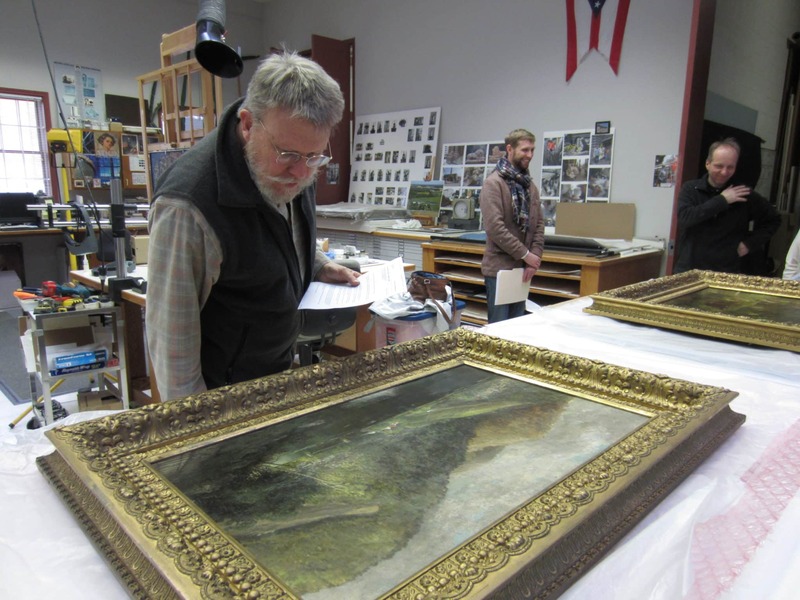 Conservator and company president Robert Lodge gives an initial look at a painting just delivered by a museum courier. The painting will need to be registered in our computer inventory system, and then unframed for an examination (and tests as appropriate). Then its condition is documented and a treatment will be designed and proposed in writing with itemized costs for the client to consider. For any item you submit for art conservation we are obligated to you, and obliged by the ethics and guidelines of our profession, to take the time necessary to understand the condition issues, document them in writing, in photographs or both, and explain in writing how our proposed recommendations for any actions, especially treatments, relate beneficially to those conditions. This obligation is standard ethical practice in professional art conservation. And it is good. With the exception of fixed on-site art or other such items, in order to obtain an accurate cost proposal for conservation of an art work or historic object, the art conservator must have the item available for examination and testing at the facility where the necessary equipment is at hand. Normally, as in the case of our museum clients, art works are typically delivered by fine arts shippers and left with us for the receiving work and the exams and testing. There is a very modest flat rate $175.00 per item charge for all this work. Any group of very similar items may be put under a single registration with a single charge. 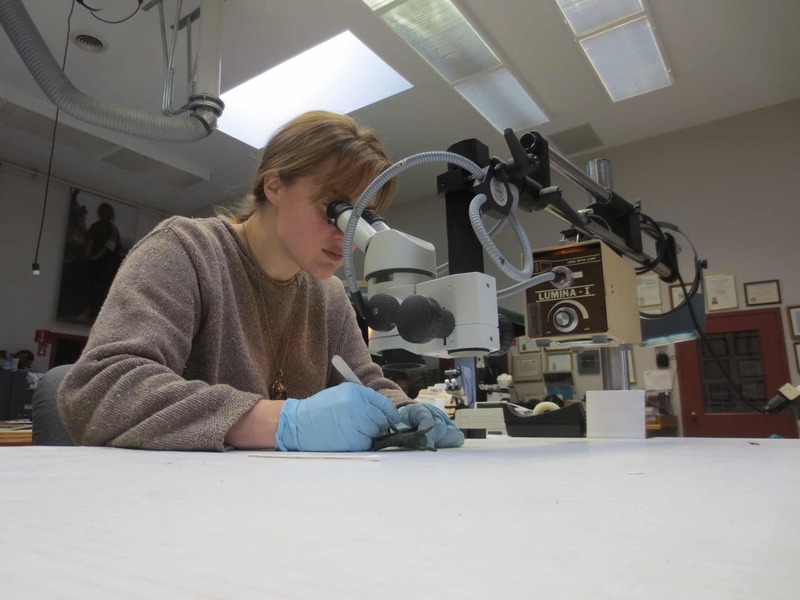 This charge covers receiving and registering the object in our system, providing a storage location for it, the conservator’s time in examining it, and the preparation of a technical and cost proposal for conservation. Any time-consuming additional tasks necessary for examination, such as un-crating, or un-framing large framed works, or extended testing and research will have additional charges identified in advance. But for the larger number of cases, the flat rate $175.00 charge suffices. The current hourly rate for art conservation labor (rates for conservators and the lower rates for assistants) is the rate used in the calculation of the cost proposal. Our cost proposals are not estimates; they are firm priced proposals and the amount of the proposal will be the invoiced amount when the work is complete; unless rare, unforeseen “discoveries” are made in the course of treatment that would change the proposed treatment. We carefully think through all the necessary conservation or preservation work and represent the costs for every step in our proposals with those steps itemized as cost line items for your review. Your review may guide us to consider lower cost options through selective reduction (or alternatives) of work. Thus, we involve the client in control of stages of conservation and costs. We do not offer common “mysterious” lump sum prices; instead we show our task and cost calculations for proposals. Any mutually-agreed unforeseeable “discoveries” during the course of work are reported to the client as soon as found and the matter discussed. On some occasions, however, estimates may be offered based on either an initial examination of an object or on submitted photographs of the object and a discussion with the owner. You are welcome to contact us by email with a request for an “estimate” based on images you present. Our “estimates” are often “right-on” due to our collective vast experiences with so many common situations. Non-museum clients submitting art objects or heirlooms of uncertain value may benefit from meeting with the appropriate art conservator and presenting the art object or heirloom for the art conservator to evaluate briefly in person. 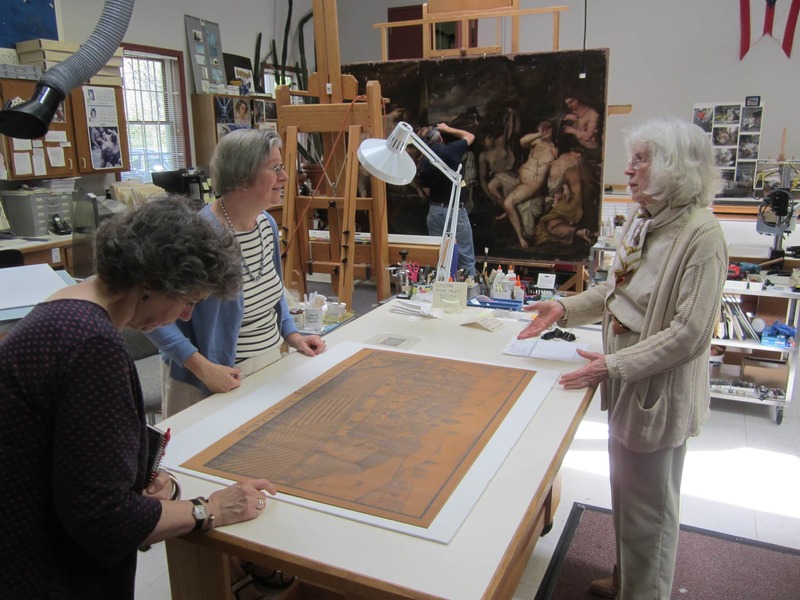 The art conservator can then provide the owner with an estimation of costs and explanation of procedures or offer all options, to enable the owner to know what may be involved, before the flat rate expense of an exam is engaged if conservation work is considered affordable or cost-appropriate. These “clinic” appointments for private owners of art or heirlooms are often very beneficial because we can advise at the time what measures any owner may take on its own to preserve the item(s) without the cost of conservation procedures. We do fully understand personal value in historic or artistic items lacking in market value and we feel obligated as professional conservators to help in any and all such circumstance. For these meetings we often set aside one day a month as an art conservation “Clinic Day.” We also allow occasional appointments at other times. There is no charge for a brief meeting with the art conservator during such an appointment unless the time exceeds a half of an hour. If the owner decides to proceed with art conservation, the art object or heirloom still must be left for the conservator to fully examine the item and perform any necessary testing, as well as produce a written technical and cost proposal. If you have any further questions or are in a unique situation, well then, just call or email. We can discuss it. We want to help you in all the ways we can.